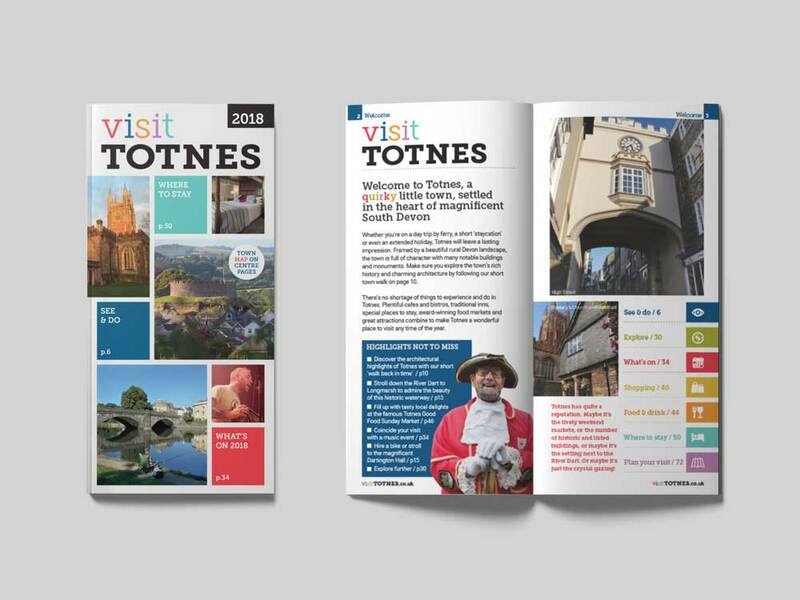 Totnes town council were looking to update their tourist focused website and consolidate the councils tourism resources within a town brand. Totnes in Devon is a quirky little town with far-reaching appeal. Left Bridge was asked to come up with a brand identity, marketing materials and website to attract visitors to the town and advertise the wide variety of local business. 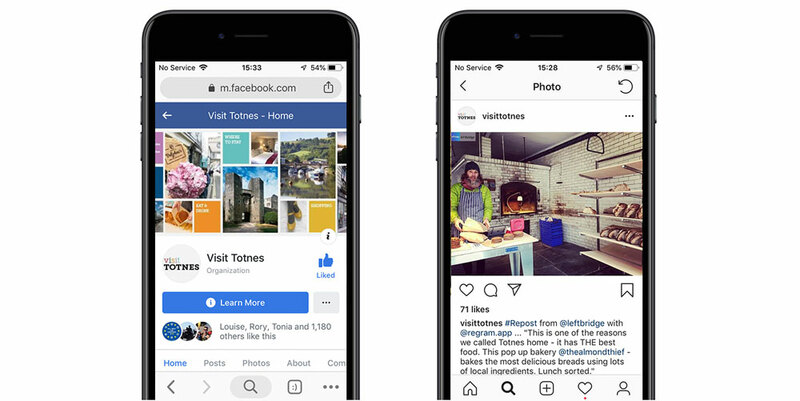 First, we decided to change Totnes Information to Visit Totnes - making use of increased Google search results while also tapping into an already understood 'visit' brand. All areas of the project had to be self-funding, so we had to work closely with the staff at the town council. 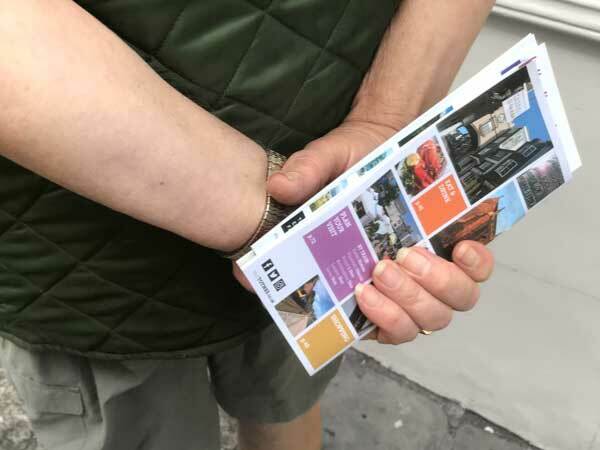 Clear communications and reliability were essential factors as we planned the brand, website and town guide. Through research of existing website analytics together with recent council reports, we were able to deliver a content plan that could identify and structure the website around its categories and varied content. The solution to the wide variety of imagery was a flexible and hierarchical grid, enabling a ‘shuffle of cards’ according to relevance and advertising spend. Both the guide and website could also mirror each other's design to create brand consistency on and offline.